This post is to answer a question i frequently receive from developers and architect on what is the best way to take legacy console applications (exe) to the cloud. 1) The challenges of scaling console applications. 2) The available options to migrate console applications to the cloud. 3) How Azure webjobs is a great option for migration light weight backend jobs to the cloud. 4) Scaling up or down web jobs in Azure. 5) Scheduling options for Azure web jobs. Enjoy watching the video and keep the feedback coming. 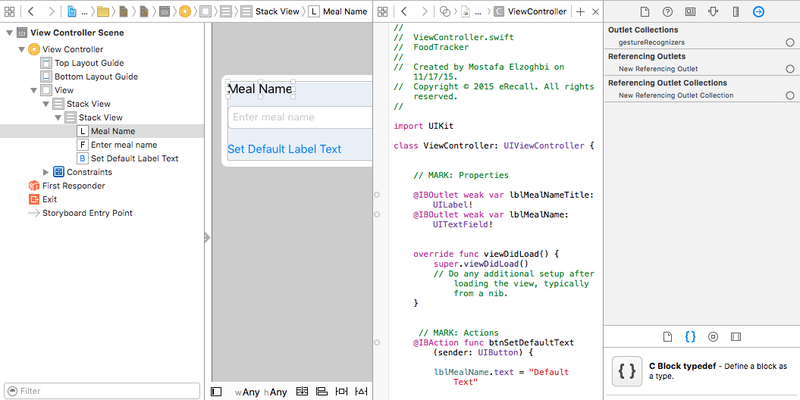 My app didn't have code at all, I just added controls and linked these controls in the ViewController.swift file. 1) Open your storyboard file. 2) For each control in your view, Open "Connection Inspector" menu and delete all related connections. 3) Clean the project, From the the product menu --> click on Clean. I have been asked on what is needed to create outlook extensions, add-ins or apps. The new standard name from Microsoft for these extensions is office apps. So in this blog post i will use apps which refer to add-ins or extensions. With the new app model, All office apps are HTML5 & web based projects. When you create a project in Visual Studio 2015, VS creates two projects in the solution. The first project is a web app project where you can create all your HTML pages with all required assets (CSS, JS...etc). The second project is an office wrapper project for your web app. This project is being used to register your app in office client apps or office 365. The office wrapper project contains information such as: application name, version, company information, end point urls and any required permissions that you need to configure when a user install the Outolook add-in. Below screen shots shows how to create an Outlook Add-In to show in outlook email messages. 1) Open Visual Studio 2015. 2) From the file menu, click on New project. 3) Under Office/SharePoint, Select Apps from the right pane. 5) Visual Studio will prompt which project type you want for your outlook app. 6) Select Mail, Then click Next. 7) Choose where you want the app to appear. 8) Select Read and Compose Email Message, Un-check the rest. Below shows how the two projects that have been created in VS 2015. I'd like to share a presentation on how to start executing your idea. This presentation i prepare for startup office hours that i hold on monthly basis. I have put together this content to answer common questions, challenges and things to expect when you start executing on your startup idea. This presentation is very useful for entrepreneurs and first time founders on how to get started on executing an idea. I have created a Cordova Project using CLI commands, and then i was trying to figure out how to open a Cordova project using Xcode to build and run my Cordova projects in the available emulators. 2) From File menu -> Click on Open. 3) Navigate to the Cordova App folder. 4) Navigate inside platforms folder, and then select ios folder. 5) The project will be loaded inside Xcode. 6) Click on Run and the Cordova app will run in an iPhone emulator. 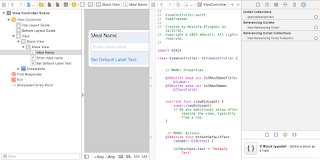 You will notice that Xcode created (*.xcodeproj) file that you can use to open cordova projects in Xcode. I have El Capitan version 10.11.1 with Node.js version 5.0.0 and npm version 3.3.6.
npm ERR! argv "/usr/local/bin/node" "/usr/local/bin/npm" "install" "-g" "ionic"
I tried to read more if i am missing any requirements for Cordova CLI in OSX. I found out that XCode contains all OSX SDK tools and dependencies for Cordova apps development in OSX. So i have decided to install XCode first, and the i re-ran the installation command for Ionic and i was able to create Ionic apps on my OSX dev machine. So installing XCode on my machine did the trick!